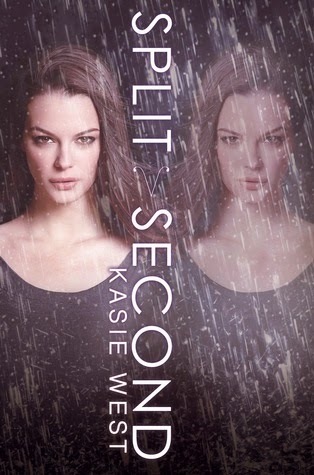 As someone who loved Pivot Point and loves Kasie West's writing, I thoroughly enjoyed every bit of Split Second. Dual perspectives doesn't always work; often the two perspectives sound the same to the point where the reader is confused on who is who. However, Laila and Addie are so different that it is impossible to be confused on who is who. Their stories are vastly different and come together perfectly. The Compound became a lot more fleshed out to me throughout this book. Also, seeing part of the book through Laila's perspective allowed me to better understand her and like her more. Duke also returned in this book, but I think I like him less than I did previously. I still loved Addie and Trevor and loved seeing more of them. Connor was also a fantastic edition! The love stories intertwined perfectly and the ending kept me reading. I don't know if there is a third book in the works but I would not be surprised in the slightest. There is still enough information left open that it was would be easy to write a third book. If there isn't though, the ending to this book would still be a good ending to the series. That's what I love about these books; they feel like they could be standalones but they are also connected for a series. If you liked Pivot Point or enjoy West's writing, I would definitely recommend Split Second. It has a little paranormalcy without having to learn a new universe.